In a rambling house in a small Australian beach town, Elena Jameson is recovering from her recent divorce. To her delight, she is given the opportunity to foster a little boy, Daniel, whose mother is dead and whose violent father is in rehab. As Elena and Daniel explore the beautiful bay and wild bushland, they form a profound bond that will change their lives forever. Then Daniel’s father discovers his whereabouts and begins a campaign of terror – not to get his son back, but to prevent Elena giving Daniel a new life. As the violence escalates, Elena finds that she’s willing to do whatever it takes to protect Daniel from the brutality of his past and an uncertain future. Sometimes the only way to get what you want is to pay the price in blood. A gothic tale of love and loss, bravery and hope. "I love the Aussie setting in this page-turning psychological thriller. My emotions were high as the fate of an innocent child was at stake." - Renee Conoulty at HeySaidRenee. "I think this novel really speaks of what love really mean and just how powerful love can make a person." - Katrina Hart at Writing, Inspiration and Muses. It's so refreshing to read a good Australian drama, and an amazing effort for a first novel. The characters were superbly drawn and I was with them every step of the way. Sometimes I felt like yelling at Elena to go to the police, but then I remembered what happened to Rosie Batty and couldn't blame her for not having confidence that they would be able to help. 1.0 out of 5 starsA bunyip? Really? This would have to be one of the most frustrating plots of all time. Dear author, you can't just turn to the supernatural at the last minute when you've got yourself in a jam. And the heroine's decision making is just loopy for no good reason. Yet the writer does have a flair for description- such a waste. 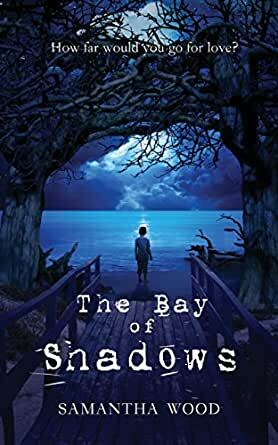 One of the things I love about this thriller/drama is its way of bringing out light and dark, this "contrast" that is cleverly shaped by its characters and their unique stories, allowing the reader to easily visualise a world that exists both in dream and reality. You can't help but emotionally connect with the determination of the characters, either fueled by love or fear. 3.0 out of 5 starsa little boring though. Okay, a little boring though. I really loved this book. I loved how Elena took Daniel into her heart and home. This shows how our screwed up foster system works. Or should I say doesn't work well. I love how Elena showed Daniel's dad and his goons she was still going to take care of Daniel. She was not going to let them frighten her or intimidate her. I liked how Elena showed the men in her life she would handle this situation by herself. Just shows what mothers will do for their children to survive. I would like to read more from this author. If you love a moving thriller, you will want to read this one. I needed a Kleenex a few times to read this great book. This novel did have some strengths. I very much enjoyed the descriptions of setting and of the wild animals that inhabit it. The story was coherent and the main characters largely likeable. The author also did a fine job of building suspense. That said, however, the novel disappointed me on a number of levels: (SOME SPOILERS AHEAD) the story was a bit too simple and straightforward for my taste--here are the good guys, here are the bad, and here is the situation between them. The novel builds some suspense and then reaches the climax between good and bad. There is no mystery here, nothing to figure out or to wonder about. Except perhaps the denouement. I am still not certain whether or not a reader is expected to accept the climax at face value. In a work that has been largely realistic, we are to accept the appearance of some mythological (I assume) character to save the day and all the good people while killing off the bad to prevent further worry?? If this is how the book should be read, then I find the ending a cop-out. "Ding dong, the bad guy's dead, and readers can still admire Elena because she did not actually commit the murder she planned. The other possibility is that somehow Elena and her foster son Daniel are somehow sharing in the same break from reality, and Elena did in fact kill the villain herself. This is presumably possible since we know that Elena has been telling Daniel mythological tales as bedtime stories. The two could, I guess, project the same symbol of strength and protection to block an uglier reality. If this is the case, however, I find the "happy" ending still more problematic. The two main characters are happy and looking froward to fulfilling futures because they are blocking the truth about the trauma in their pasts?? I don't think so. In either case, I found the conclusion of the novel unsatisfying. 3.0 out of 5 starsUnbelievable. Elena was such an unbelievable character and I found her to be annoying & useless person. For a year, since her divorce, she has sat around the house with no job, basically doing nothing but getting drunk every night it seems. Who fosters a child but gets drunk every night? Her reaction to the threat is so stupid and her final solution even more so (don't want to give anything away here). The relationship with Tommy felt forced, it all happened so fast. As for the monster, as others have said, what was the purpose of it? Was it real or did they both imagine it... I guess not from how the story ended. It was just too weird. The flow of the story could use some work. One sentence would end and suddenly with the next they were in a totally different time & place. This happened a few times & I had to go back & re-read to see if I missed something (I tend to read too fast so do miss some things!). But no, there she/they were in place A and very next sentence, sometime later in place B. All in all, not a terrible book but not sure it was worth reading as Elena was not likable, in fact quite irritating, and Daniel not really believable for a 6 year old. I'm about halfway through this book and haven't decided whether I'll finish it. Firstly, it's Australian, which is not normally a problem, but there are so many unfamiliar references, to plants, trees, animals, foods, expressions, that I sometimes feel like I'm reading science fiction, something set on another planet and another culture. Aside from that, the main character's actions seem so wrong that it's hard to be sympathetic with the inevitable results of those actions. Elena is a foster mother trying to protect a little boy from his cruel and criminal father. The father is in custody in a rehab facility, but uses a supervised visit to learn where his son is living, then sends thugs to assault and threaten Elena. Instead of reporting what happened to the police so the father's actions would be on record against him when he tried to regain custody, she hides it, turns her home into a fortress and asks a friend to get her a gun. Elena is also divorced from a man who is now openly gay. She still cares for her ex husband and they have a close although platonic relationship. She begins dating another man and begins to see a possible future with him. When he learns that she lives in her ex husband's house and has a close relationship with him, he assumes the relationship is still romantic, and she lets him be hurt and walk out rather than telling him her ex husband is gay. What's going to come next seems inevitable and mostly Elena's own fault, and I don't know whether I want to read about it. 3.0 out of 5 starsNot horrible, but a little disappointed. I did enjoy the story overall, but at times I was very confused. Things changed with no warning, there were inconsistencies, and I have no idea where the "bunyip" came from. This was not a "fairy tale" but a thriller, and it just seemed to me to be totally out of place. I was very relieved with how it ended, but Elena made so many mistakes it was ridiculous to even contemplate. Anyone in their right mind would have notified the Police, if for no other reason than to have it on the record. How she planned to "solve" the problem was totally foolish and to even consider such an act was reprehensible IMO. I can't see any ordinary woman being remotely able to pull off such an act of violence against a hardened criminal. It was unbelievable. And yet, in the end, thanks to an imaginary "protector" everything works out perfectly. Too amazing for words.